Embsay tannery standing derelict, January 2005. Taken with Kodak CX 7310 digital camera. This damage was not caused by a storm but is man-made! 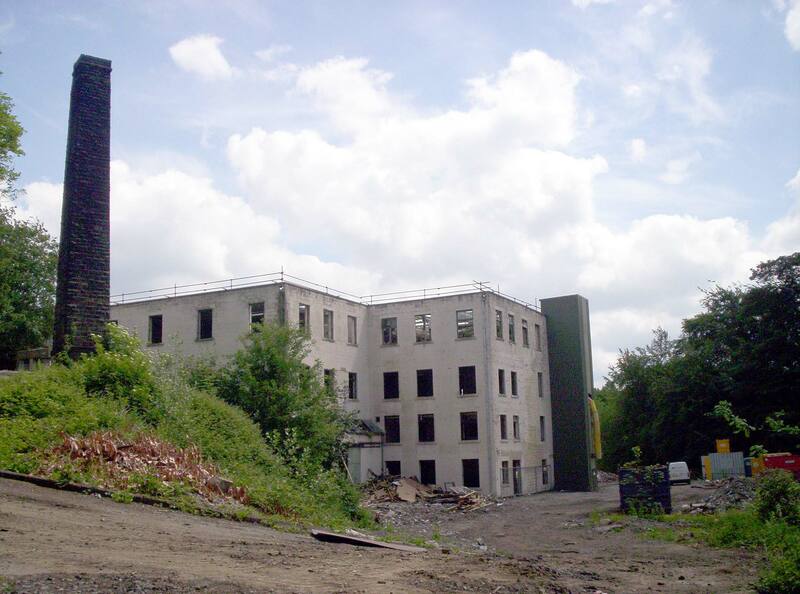 The tannery main building was demolished to make room for houses (Tannery Lane and Baynes Way). The chimney has been retained as a feature amongst the houses. Thank you Monika. I've amended the picture title.